The Pony Car Makes A Roaring Comeback! - Muscle Cars Zone! For many North Americans, nothing conjures up the 1960s like the sight of a vintage pony car. These small, muscular vehicles are icons of the decade and potent symbols of its freewheeling youth culture — promising independence, power, and speed, the pony cars stand for some of the most dearly held values of the American automotive tradition. But while they may have had their heyday in the 1960s, over the past 10 years a range of resurrected brands has proven that the pony car is hardly a museum piece. Some of the most famous pony cars have recently been brought back in fresh, updated models that are garnering rave reviews and enthusiastic acclaim from the automotive press. Here are three of the most exciting examples of classic pony cars that have been given a new lease on life in the past decade. If any car is synonymous with the pony car movement, it is the Ford Mustang. Not only did the first generation Mustangs launch the craze in 1965, it is also the brand that has most explicitly capitalized on the pony car ethos over the years, with a variety of special editions and throwbacks. For example, the 2018 Mustang is an updated version of the famous green Mustang driven by Warren Beatty`s character in the 1968 film Bullitt. That is not to say that Mustang has remained stuck in the past. The new Mustangs are some of the most energetic cars on the market, packing serious horsepower and providing innovative, fuel-efficient alternatives to its traditional V-8 engine. When the Challenger first appeared in 1970, it was Dodge`s somewhat belated answer to the pony car craze that started with the Mustang in 1965. 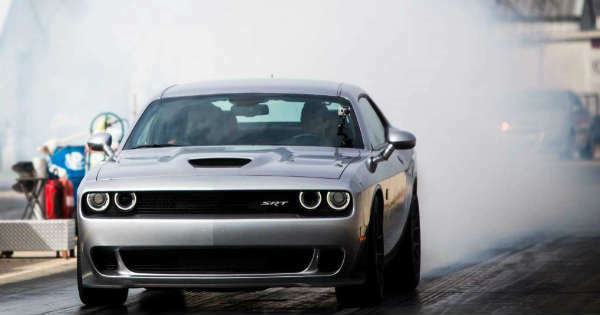 But when the Dodge Challenger came roaring back in 2008, it was a harbinger of a new generation of resurrected brands, including the Mustang and Camaro, set to bring the pony car into the 21st century. The new Challenger set a trend by going back to basics and embodying the style and energy of the original, while updating the engine and interior for a modern audience. The new generation of Challengers anticipated the move toward a harmonious blend of modern and traditional elements, and turned a whole new generation on to the pony car experience. Since the first rumours first started circulating in 1965 that Chevrolet was developing a pony car of its own, the Camaro and the Mustang have participated in a celebrated rivalry. The Camaro`s clean lines and sporty, aggressive attitude was a fitting answer to the Mustang`s wild-west energy, and generations of drivers have defined themselves against the status quo by choosing the Camaro. The latest Camaros go back to the source, borrowing heavily from the original design and pushing the envelope in terms of horsepower and driveability. Pony cars have long been symbols of spirited independence, and just as the original pony cars of the 1960s thrived off a feeling of rebellion and freedom, the newest models provide an unparalleled experience of power on the open road — and arguably do it even better than the originals. The Mustangs, Challengers, and Camaros of the 21st century appeal both to older drivers who may have been too young to buy a pony car during the height of their popularity, and a younger generation encountering these classic automobiles for the first time. Pony cars may always be linked to the euphoria of the 1960s, but the latest models prove they are not stuck in the past.